After 5 years of research, preparation and construction BikePark Wales will opens its doors to the public this Saturday 24th August. For the very first time the UK will have a full scale mountain bike park with all the facilities required to guarantee an amazing day shredding World class trails. BikePark Wales is part of the Cognation project that has heavily invested in mountain biking throughout the South Wales region over the past two and half years. Cognation mtb trails South Wales is a partnership project between Neath Port Talbot CBC, Merthyr Tydfil CBC, Caerphilly CBC, Natural Resources Wales and BikePark Wales. The project is part-funded by the EU’s Convergence European Regional Development Fund through the Welsh Government with match funding coming from the Welsh Governments Heads of the Valleys Strategic Regeneration, BikePark Wales and partner organisations. Today see’s the release of part 3 of the building of BikePark Wales documentary just 3 days before the park opens. In this episode the project nears completion and the trails get a thorough testing to make sure they are riding just right for the public. Over the last 10 years the popularity of mountain biking in the UK has soared and riders have enjoyed the growth of the trail centre model spear headed by the now Natural Resources Wales (Previously Forestry Commission Wales). Those looking to broaden their horizons have had to look to Europe or Canada for their first taste of the bike park experience. Now riders will be able to enjoy uplift and pedal accessed trails of a quality and quantity never seen before in the UK, year round at BikePark Wales. 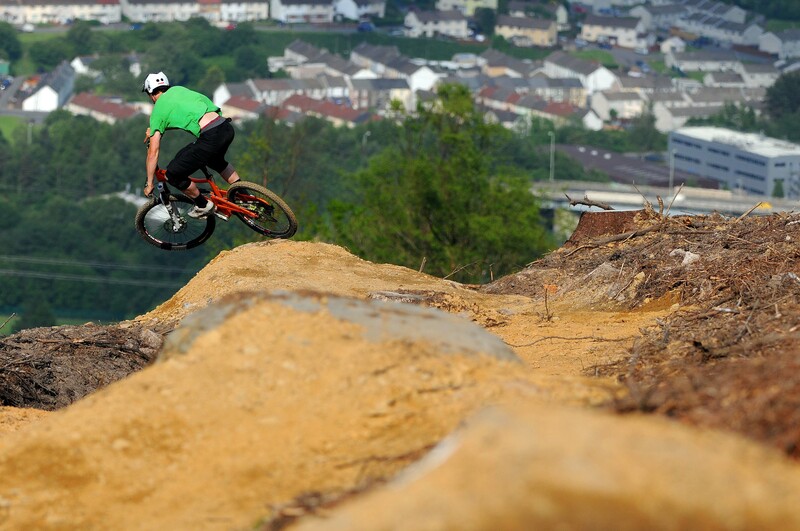 BikePark Wales will open with 23 sections of trail to be enjoyed by riders of all abilities. In the same manner as European ski resorts BikePark Wales will use a colour graded system to indicate the technicality of each trail. A full explanation of the trail gradings can be found on the BikePark Wales website. 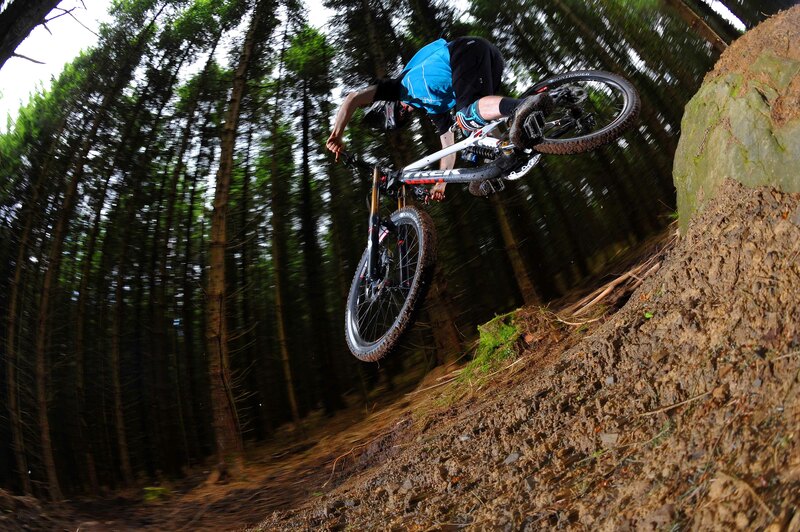 Importantly BikePark Wales has been designed so that anybody who enjoys mountain biking can come and enjoy the trails. It seems like mountain biking has turned the corner. No longer shunned as a fringe sport by derelicts, mountain bikers have learned to organize for social acceptance, political power and building bike destinations. Trails and bike parks are being opened all over the globe as mountain bikers build trails to ride for themselves, their peers and their children. The build can be as simple as a pump track in a deserted city parking lot or an ambitious bike park in the vein of the hallowed Whistler Bike Park in British Columbia. 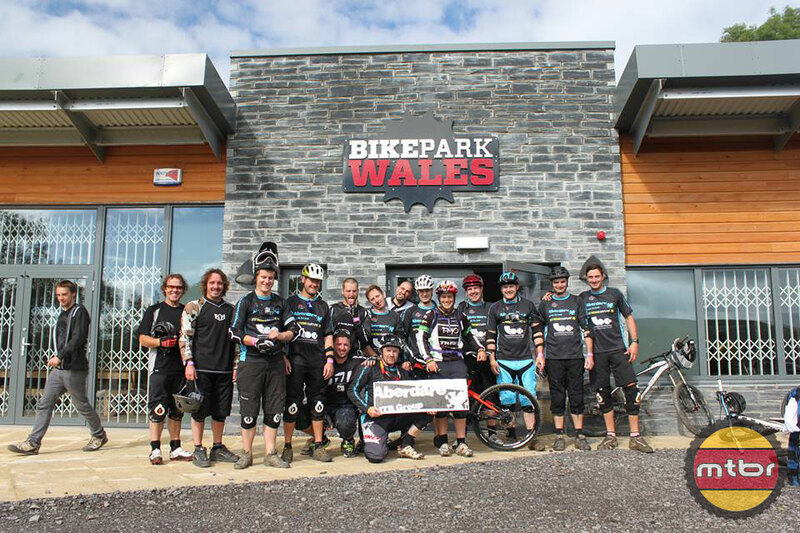 That’s why we are excited to share with you the efforts of our friends at BikePark Wales. These videos not only showcase the infrastructure they’ve built, but also gives us insight to their vision and what is possible when a group of passionate folks pour their heart and soul into a bike destination project. Their vision is a little bit unique as it is not a converted ski resort leveraging infrastructure for summer revenue. Rather, it is a venue solely built for mountain biking. So instead of lifts, they use specially equipped vans to get the riders to the top of the hill. And everything seems to be designed for the mountain biker with bike wash stations, bike rentals and coaches. We wish them all the best in their endeavors. In just three days time BikePark Wales will open its doors to the public after five years of planning and construction. Today see’s the release of the final episode in the making of BikePark Wales triology “Go for launch” featuring guest riders Tracy Moseley, Joe Smith, Al Bond and Joel Moore. This episode gives a great insight as to what the riding at BikePark Wales will be like. To find out for yourself, you’ll have to come and check it out on Saturday 24 BikePark Wales opens to the public on Saturday, August 24. 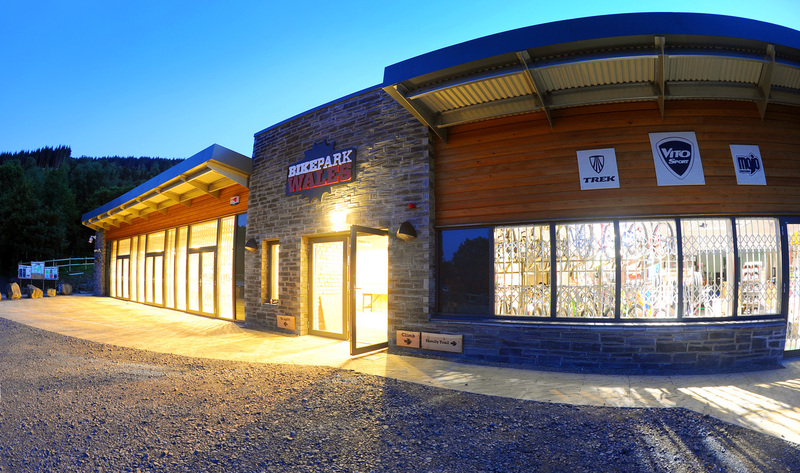 BikePark Wales was born from a passion to create the best mountain bike facility in the UK, the UK’s first full scale bike park to rival the best in the World. The BikePark Wales team have slaved day and night for 5 years to create this incredible facility. BikePark Wales is built for riders, by riders. Our series of lift assisted trails for riders of all abilities offer the ultimate riding experience. With a mix of incredible all weather roller coaster trails and some of the best natural Singletrack the UK has to offer, we challenge you to control the silly grin on your face at the bottom of each run. Looks great! So who owns this little piece of heaven? I’m from the Valleys and this means a lot. We’ve had some tough times but this along with Afan and Cwmcarn around the corner makes S. Wales truly world class, the best place to ride hard anywhere in the UK. Lush!